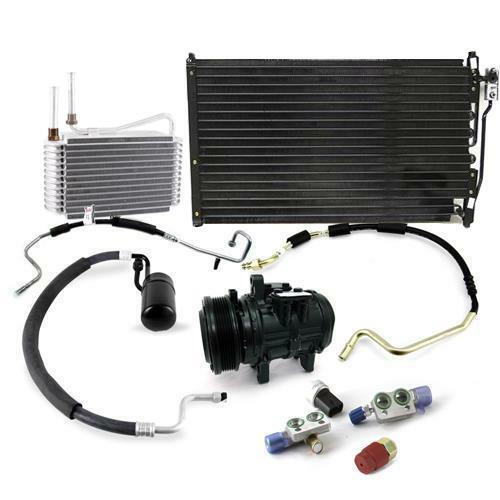 Ensure your 1986 Mustang air conditioning system is performing safely & efficiently with this R134a conversion kit! 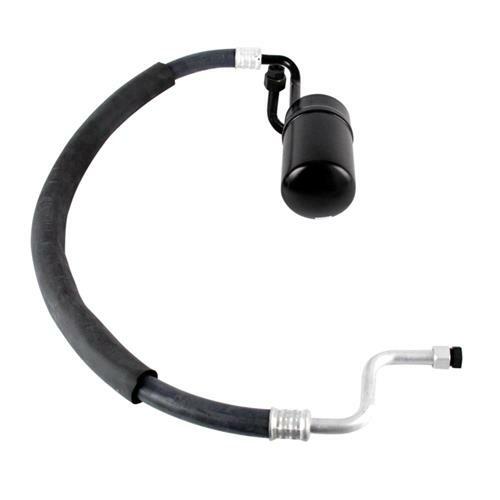 Ensure your 1986 Mustang's air conditioning system is functioning properly with this factory style R134a conversion system. The air conditioning system in your 1986 Mustang is nearly 30 years old now. 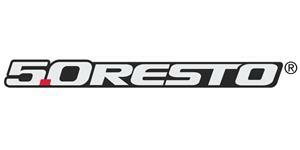 The original hoses and other components are most likely dry rotted or defective. Between the age of your factory A/C system and the hassle of getting R-12 refrigerant, the answer is to convert to R134a refrigerant. Included on the a/c compressor are manifold ports that make a plug and play application for an easy install. The old a/c compressors didn't come with these and are exclusive only to 5.0 Resto. Converting from R12 to R134a freon is becoming more and more common. Simply because the R134a refrigerant is cheaper, readily available, and can be bought without a license. Unfortunately, when R134a is introduced into a stock R12 system with nothing more than a few new seals and some oil (like the popular R-134a conversion kits you see at the parts store), the A/C system isn't as efficient and vent-outlet temperatures rise. The best way to repair your A/C system and properly convert to R134a is to replace the components that have been using R12 for all of these years. Your factory hoses and other a/c components are most likely rotted or leaking by now. 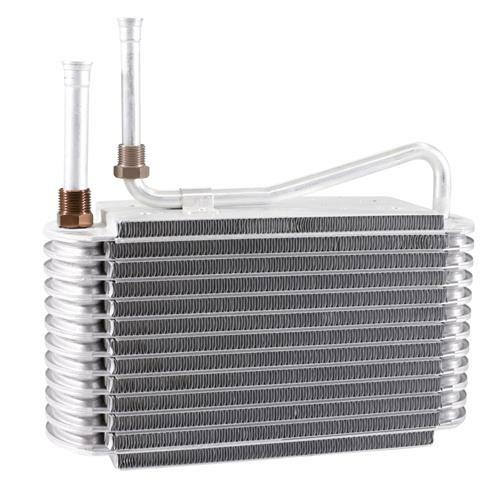 This kit includes new hoses, condenser, and a re-manufactured compressor. This ensures you don't have any components with R12 residue left in the system. 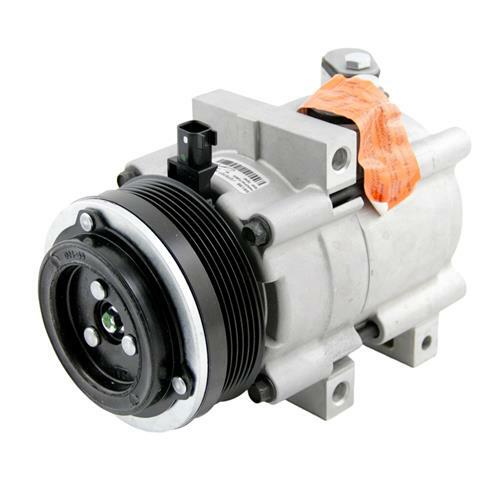 The compressor includes the correct fittings and service ports to accept R134a refrigerant/freon. The entire system needs to be filled with 8-10oz of PAG 46 oil and 24oz of R134a refrigerant. The A/C compressor ships with oil verified by a pink sticker on fill area. Verify oil is there before filling system. This air-conditioned evaporator is located under your dash and it pulls the heat from the air blowing into your car to produce cold air flow for your A/C. Over time this part can become cracked and needs to be replaced to work properly. Will only work on Mustangs equipped with A/C from the factory. Dealer installed A/C or non-A/C equipped Mustangs will not work. 5.0 Resto Factory Style R134a A/C Conversion. Ensure your 1983-1993 Mustang's air conditioning system is functioning at full potential with this factory style R134a conversion system. 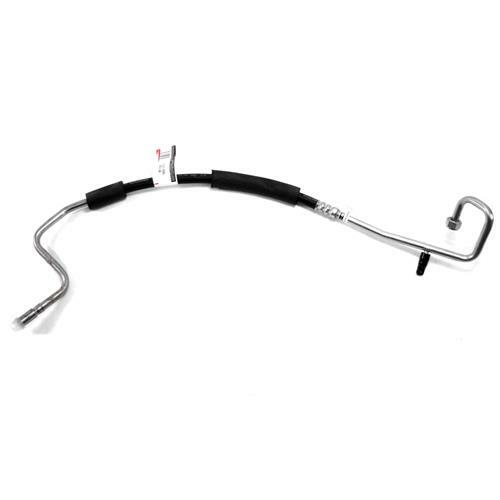 The factory hoses and components are most likely dry rotted or defective by now. Between the age of your factory A/C system and the hassle of getting R-12 refrigerant, the answer is to convert to R134a refrigerant. - The compressor ships dry, meaning it has no oil. The compressor needs to be filled with 10oz of PAG 46 oil and 24oz of R134a refrigerant. - Dealer installed A/C or non-A/C equipped Mustangs will not work. Charge the A/C system in your Mustang by yourself! Landan walks you through the easy steps on charging the A/C system in a Mustang. Be sure and have on hand a decent set of A/C manifold gauges, a vacuum pump, can tap, R134A refrigerant, and PAG oil or charge oil. Basic knowledge of HVAC systems is highly recommended before attempting to charge an A/C system. Charge at your own risk. LMR is not responsible for any damages, injury or death.